The largest of our rooms here at Goodwin Manor, Guests are greeted by a pillow-top king size bed and a unique interior bay window overlooking The Gathering Room. 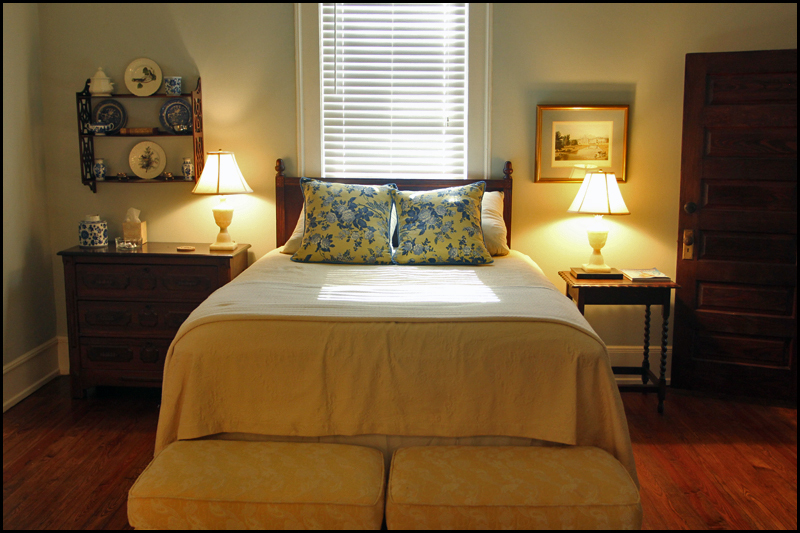 This room also offers a seating area, hardwood floors, independent heat & air, private bath, walk-in shower, walk-in closet, plush robes, and slippers. 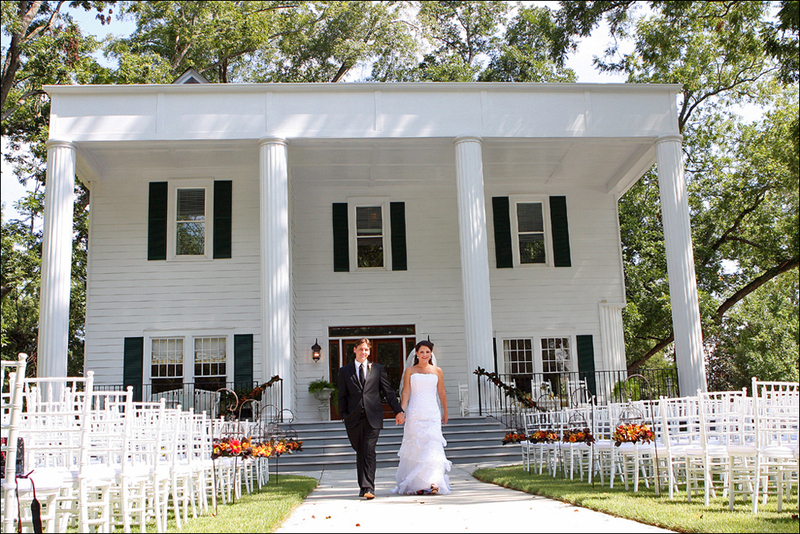 The perfect accommodations for celebrating a special occasion. In this cozy and romantic room, Guests are greeted by an antique four poster queen size bed and a large window overlooking the stunning Magnolia tree in the side front yard. 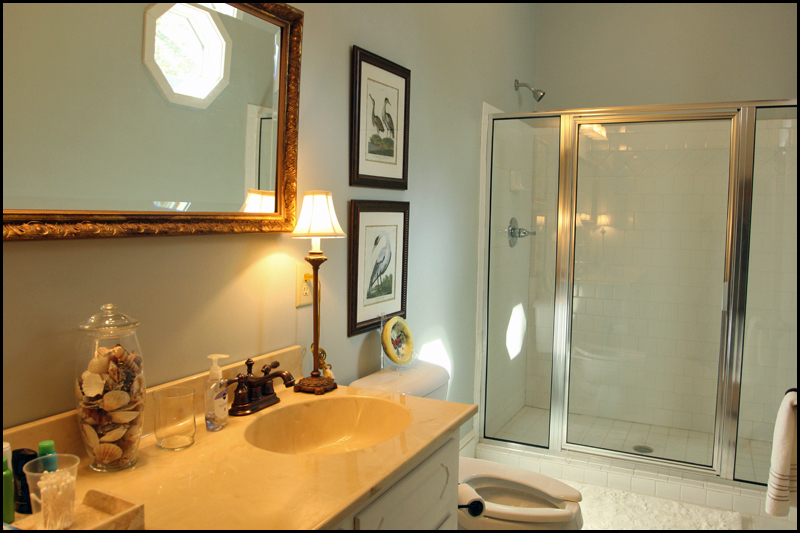 This room also offers a seating area, hardwood floors, independent heat & air, private bath/shower, antique mirrored armoire, plush robes, and slippers. Guests will feel right at home in this elegant and warmly decorated room. 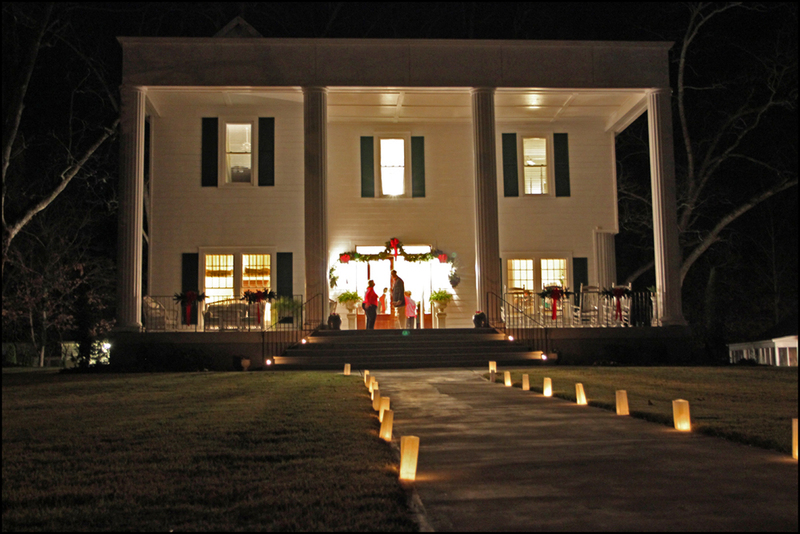 The Dogwood features an antique four poster queen size bed and large windows overlooking the porch, Main Street, and the event lawn. 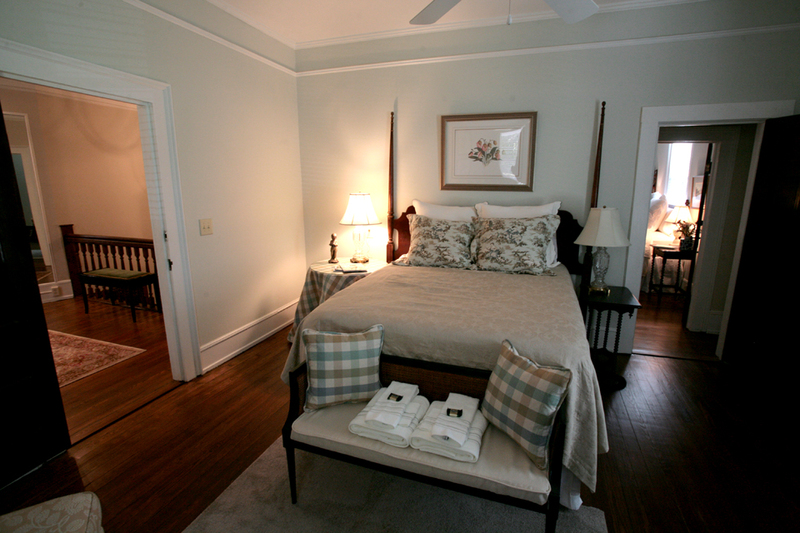 This room also offers a seating area, antique armoire, plush robes, and slippers. Accommodating bathroom with original claw foot tub located in the hall just outside the room. The Dogwood and The Wisteria Rooms have connecting doors which can easily be closed off for privacy or opened to create a suite. The Wisteria Room welcomes our Guests with ample amounts of space and natural light. It features a queen size bed, seating area, hardwood floors, private bath, walk-in shower with double shower head(s), closet, plush robes, slippers, and a large window overlooking the event lawn. 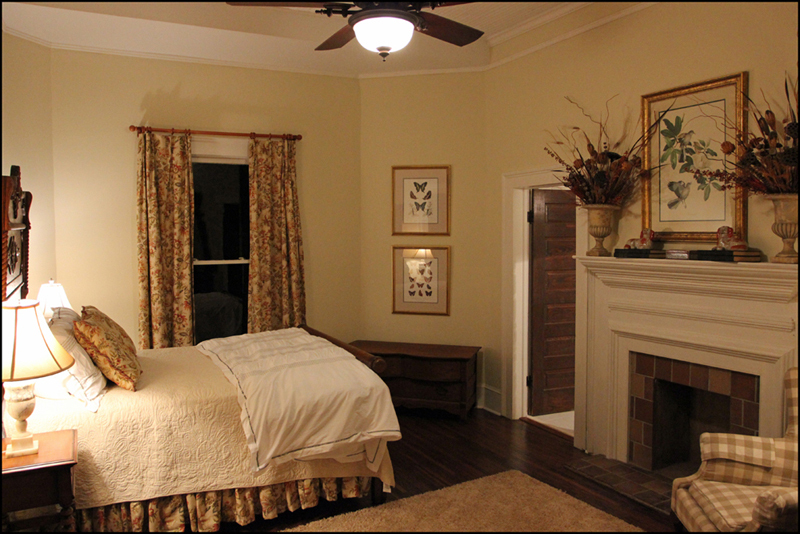 This room also features an attached Dormer Room with two twin size beds for extra accommodations. The Wisteria and The Dogwood Rooms have connecting doors which can easily be opend to create a suite that sleeps up to 6 people. 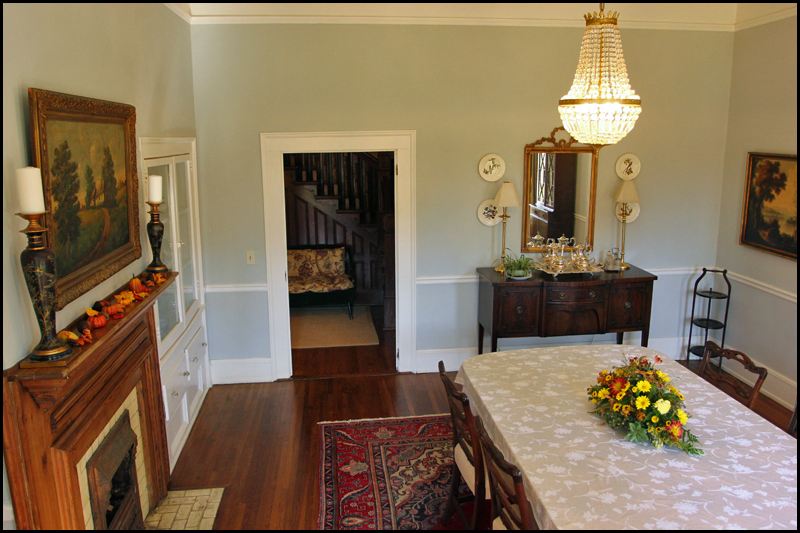 For our Guests who prefer not to have to go up and down stairs, The Honeysuckle Room is the perfect fit. 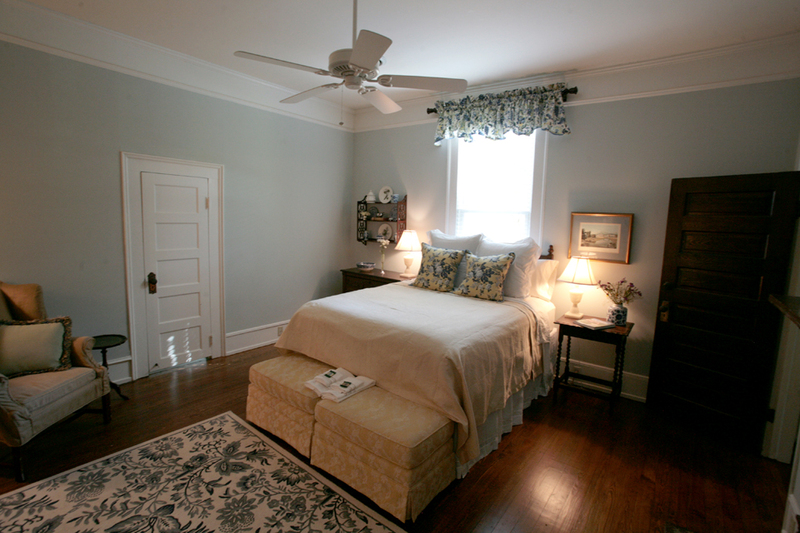 Located downstairs, The Honeysuckle features an antique, plush queen sized bed and windows overlooking the side garden. 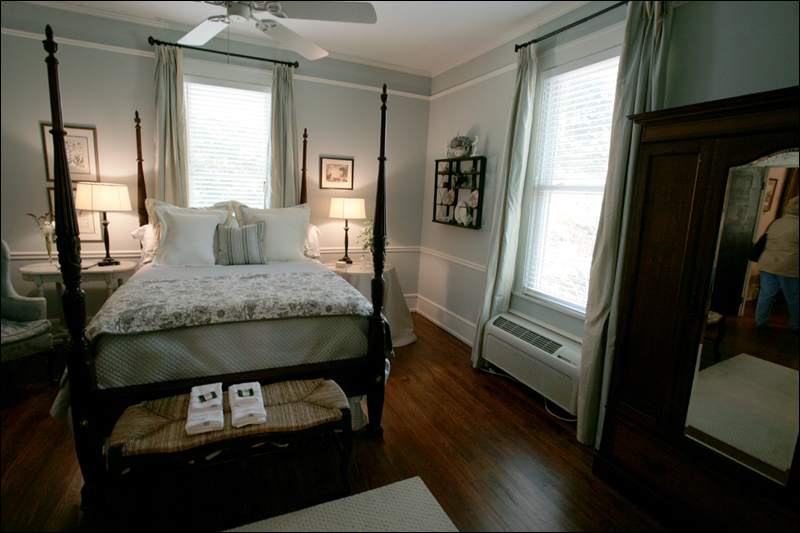 This room also offers a seating area, hardwood floors, a walk-in closet, private bath with shower, robes, and slippers.